This book presents a familiar object with unfamiliar feelings. In the book "The Day the Crayons Quit", each crayon in Duncan's box writes their owner a letter confronting him about their issues. Some crayons complain about over use, under use, lack of attention to the lines, and even a fight between yellow and orange that is effecting the mood of the whole box. 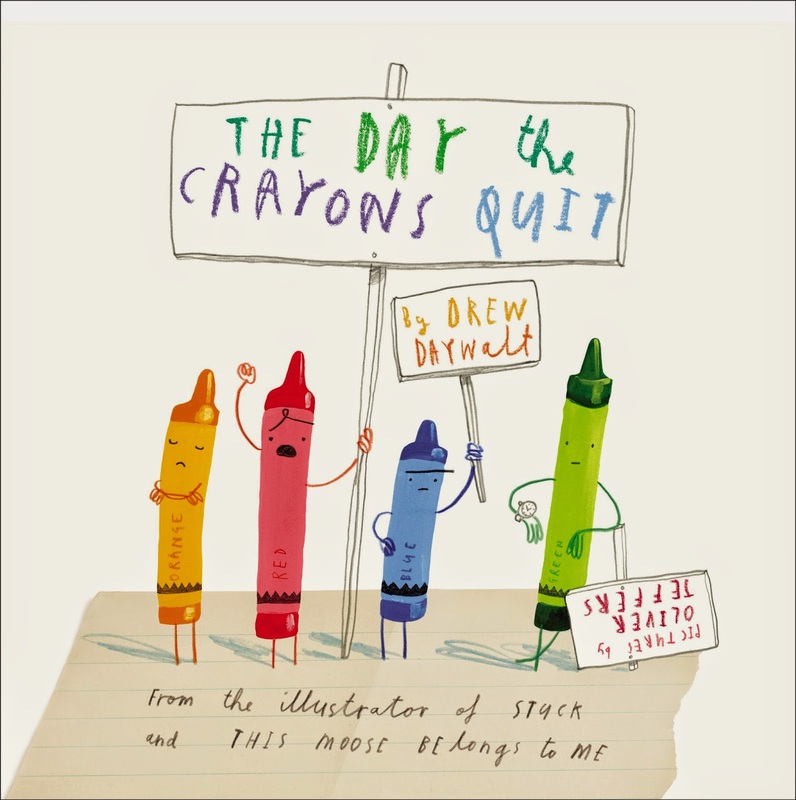 More than just an adorable concept, "The Day the Crayons Quit" is hysterical. Any child can relate to the predicament the crayons are in, and learn from the manner in which they address their concerns. Jeffer's illustrations bring the letters to life and add to the hilarity of the book. Each crayon in this book is expressing their thoughts and feelings of how they've been misused or mistreated by their unknowing owner, Duncan. While realizing that they have special talents and skills they can bring to the table, many crayons feel as though they are being exploited or undervalued and speak up against this injustice. "The Day the Crayons Quit" is a wholesome, innocent vehicle to teach children how injustice occurs all around us, often unintentionally. This book promotes students to be more aware of their actions and how they are treating those around them. It discourages readers from making assumptions or thinking of objects or people in only one light. The most obvious element of the book is persuasive letter writing. Student can be encouraged to simply write a persuasive letter and learn different elements of the structure of writing a letter. This activity can be taken a step further by allowing children to juxtapose themselves and relate with a person or object around them and write a persuasive letter from a different perspective. For younger children, the activity can encourage students to look at objects around them and come up for different uses other than what is conventional. This teaches children to look at objects with a multimodal approach encouraging creative thinking and resourcefulness. Even if this book is not connected to a learning activity it is a phenomenal book that would enhance any classroom library. It is a very entertaining book that would capture the interest and attention of any young reader.